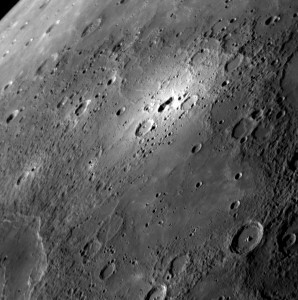 NASA’s MESSENGER just did its third flyby of Mercury on September 29th, 2009. It will enter orbit in March of 2011. Here are a few discoveries, with some personal notes and thoughts. Interestingly, this bright spot has been seen and photographed only three times – twice by MESSENGER, and the first time from the ground. That ground image was by Ron Dantowitz, one of my coworkers from the Museum of Science! He used the Mt. Wilson Observatory to collect an incredible image. The light parts are probably kicked-up material from the basin in the middle. Due to the shape and color, the basin may or may not be volcanic in nature. They’re still studying. Ahh, beautiful. Double-ring craters are an indication of a high-force impact – usually a very massive meteorite. There is a “ripple effect” in the rock – like dropping a pebble in a pond – except you’re dropping a rock on a planet. 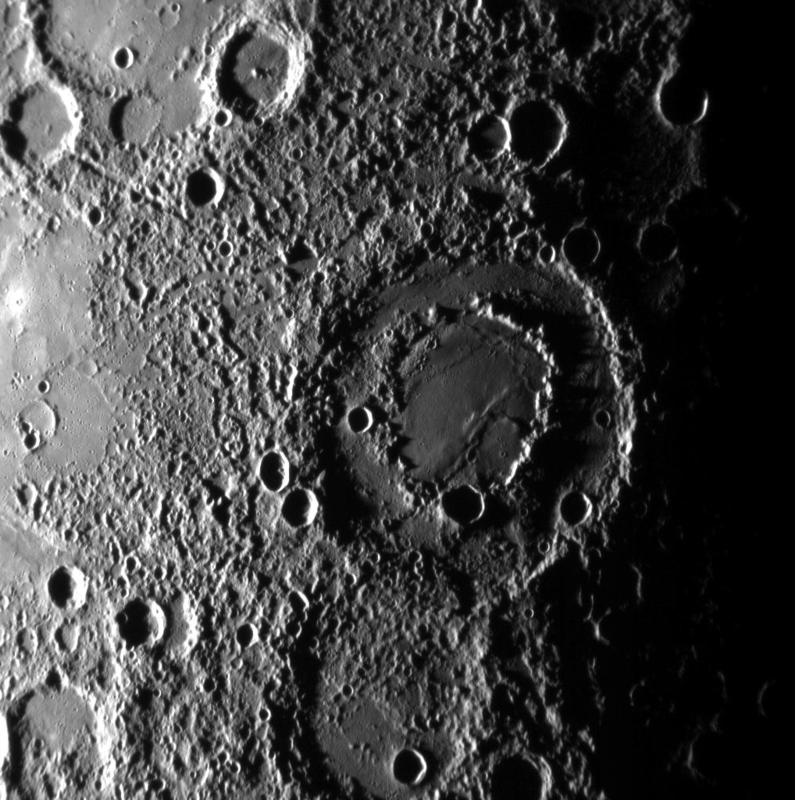 Sometimes you even get a “splash-back” which forms a peak in the middle of the crater. The rock of the surface of the planet is made molten by the force of the impact, and resolidifies – freezing the ripples in place. You don’t want to be nearby when this happens. 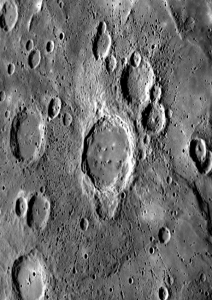 How do you get a string of craters in a very straight line? No … stop. Consider for a moment. You know what? I’m not going to tell you to the end of the post in order to FORCE you to think about it. I couldn’t not include it – it is just too cute! Now – how did this happen? 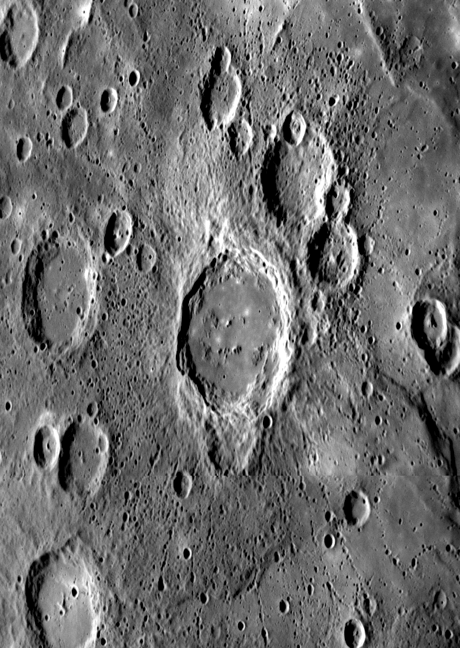 You know, for all of the great ideas you just had, this set of craters is coincidence (like the smiley-face crater on Mars). Pretty cute though, right? Okay, I hope you came up with some creative answers. 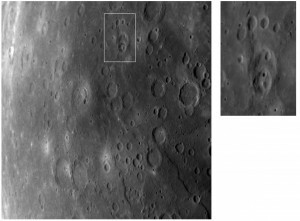 Often they are caused by a “splash” kicked up when a meteorite forms a crater (in this case called a primary crater), and some of the material tossed up is big enough that when it comes back down it makes a secondary crater. Now, instead of just one rock being kicked up and away from the primary impact, several are. They all fly off in the exact same direction (away) and when they come down each one makes a secondary crater – and they all occur in a line. 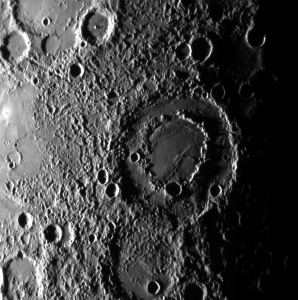 The paw print crater reminds me of the gnome.org logo. Someone needs to write a Quicksilver clone for GNOME and use that image as its icon. What astronomical event is occuring today (10/07/09) that is allowing my broom to stand freely, without falling?